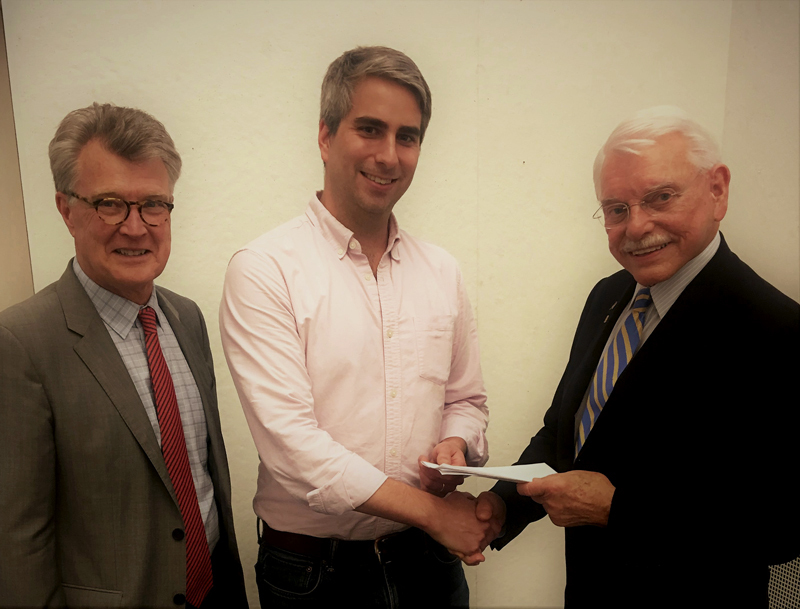 For the past 21 years David Allen Company has awarded a $5,000 scholarship to a gifted and promising architectural student at the North Carolina State University College of Architecture. The Dean of the college makes the selection to either a graduate or an undergraduate student. Robert Roberson, Chairman, presented the 2017-2018 award to Jose Tomas Errazuriz, who has been identified by the Design School faculty as a promising leader in architecture. David Allen Company has a long history of promoting the use of tile, marble, granite, natural stone, and terrazzo through its relationship with and support of architectural and design schools. With offices in Raleigh, NC; Washington, DC; Columbia SC; Birmingham, AL, South Florida, and Charlotte, NC, the company is celebrating its 98th year in 2018.